Ashley is currently in Amsterdam, The Netherlands interning with Motoshare, a motorcycle sharing platform. It is currently the only motorcycle sharing platform in Europe! Ashley's main responsibility is conducting market research in preparation for an international rollout. Ashley is a rising senior studying Economics and minoring in Political Science. "Meeting like-minded people who have similar goals and interests within my cohort has been probably been the biggest win of the summer. 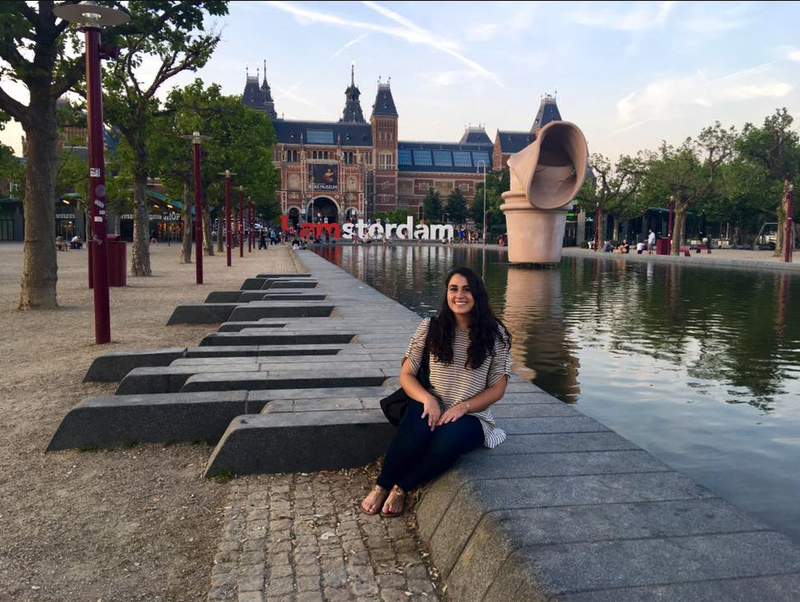 I expected to love Amsterdam but meeting other students that are easy to get along with was a huge benefit." "I decided to participate in Sage Corps for the international work experience as well as also being exposed to a startup culture. I think that me and other students my age like to work in environments that are laid back and where our work is valued. Sage Corps offered both so I knew that I was interested in this program." "I think that working here temporarily showed me that I would like to experience working in other countries in Europe and other parts of the world because I really enjoy meeting different types of people." After graduation, Ashley will be looking for a full-time position in either consulting or as a business analyst. She eventually looks forward to earning an MBA.